2019 Wizard Weekend tickets now available! 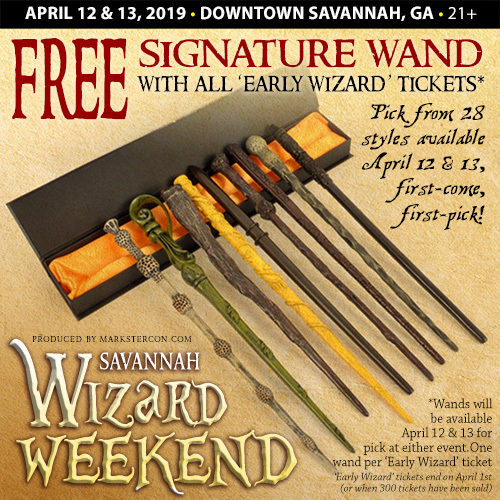 Interested in attending one or all three of this year's WIZARD WEEKEND in Savannah – happening on April 12th & 13th, 2019? If so, "Early Wizard" tickets are currently available for both the WIZARD PROM and the WIZARD PUB CRAWL which also include a FREE WAND (included only with 'Early Wizard' tickets), plus info. 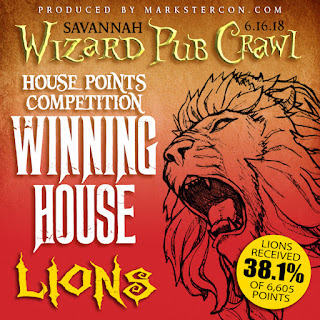 has been released for Potterhead WIZARD TRIVIA (free) scheduled before the crawl at Savannah Taphouse! Photos from the 2018 Savannah WIZARD WEEKEND! 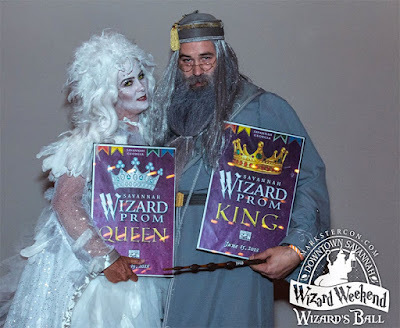 Below you'll find links for event photos, the Wizard Prom King & Queen, who won the House Points Competition, and which bar was voted BEST BUTTER BREW! After it was all said and done the WIZARD PROM crowd was presented their Wizard King & Witch Queen. The judges picked their Top 3 from the male and female entries and then the crowd helped pick their King and Queen by cheering and clapping. So many wonderful costumes, make sure to visit the photo links above to see more! 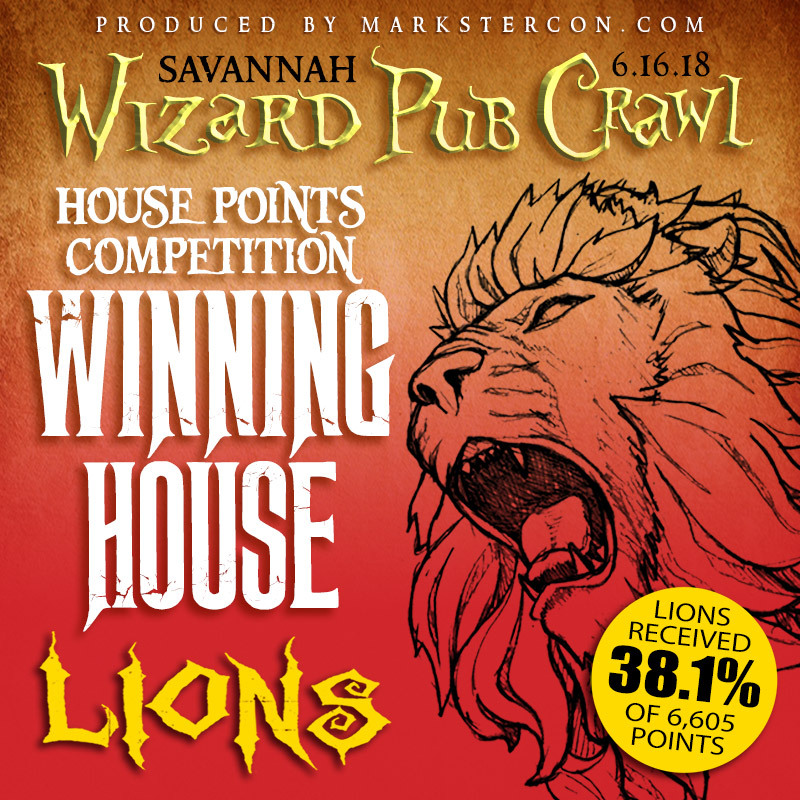 During the Wizard Pub Crawl attendees collected points (via badge punches) by visiting the various venues and by also using Snapchat filters to secure bonus house points, which were tallied at the Graduation Gathering at Savannah Smiles at the end of the crawl. Overall 6,605 points were earned with the Red House (Lions) walking away with the win! 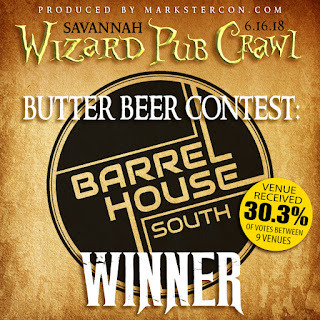 9 out of 12 venues participated in the "Best Butter Brew Contest" during the Wizard Pub Crawl, in hopes of walking away with Best Butter Brew title in Savannah. 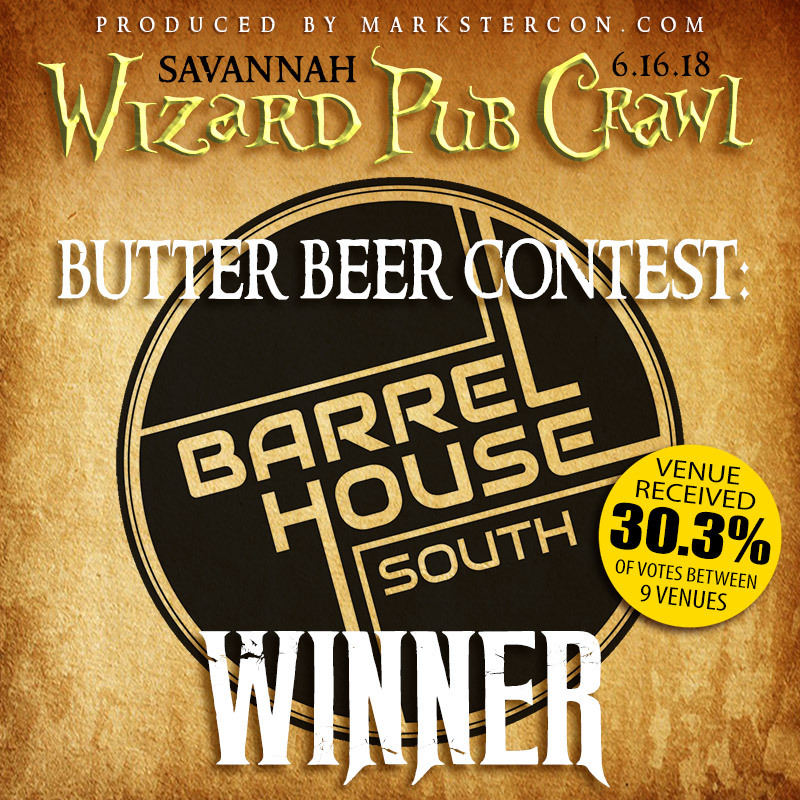 Many attending the Graduation Gathering cast a vote for their favorite (only one vote allowed for those voting) and once all votes were counted BARRELHOUSE SOUTH earned the most votes and can note brag that they have the BEST BUTTER BREW IN SAVANNAH - until next year! Overall 188 votes were cast. Not affiliated with the Harry Potter franchise, J.K. Rowling, Warner Bros. . Simple theme. Powered by Blogger.